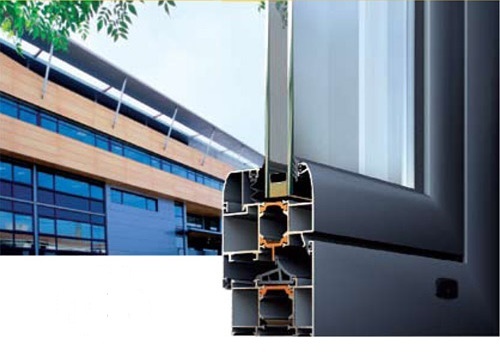 M 11000 ALUTHERM PLUS is an Alumil system suitable for external windows and doors of buildings. Aluminium joinery completed with М11000 and glazed glass with soft emission ensures joinery meeting the requirements of Regulation No.7. -Heat insulation - Uf = 2.5 W/m2K. Section of the profile HERE.